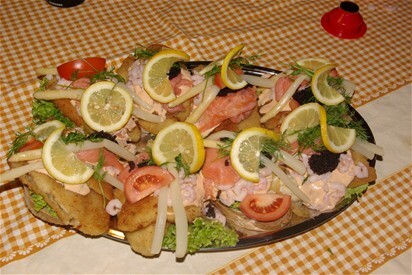 My absolute favorite food is our Danish Open faced Sandwisches. 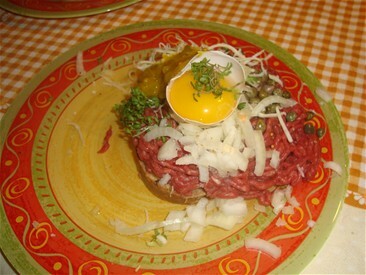 The other sandwiches were made by restaurant neerby. 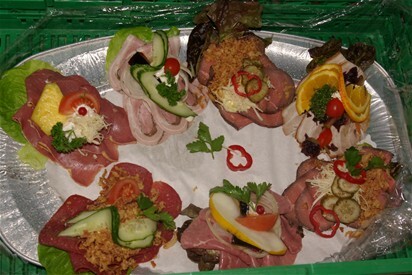 og den berømte restaurant med smørrebrød.
" Open your Heart to the Danish Open"